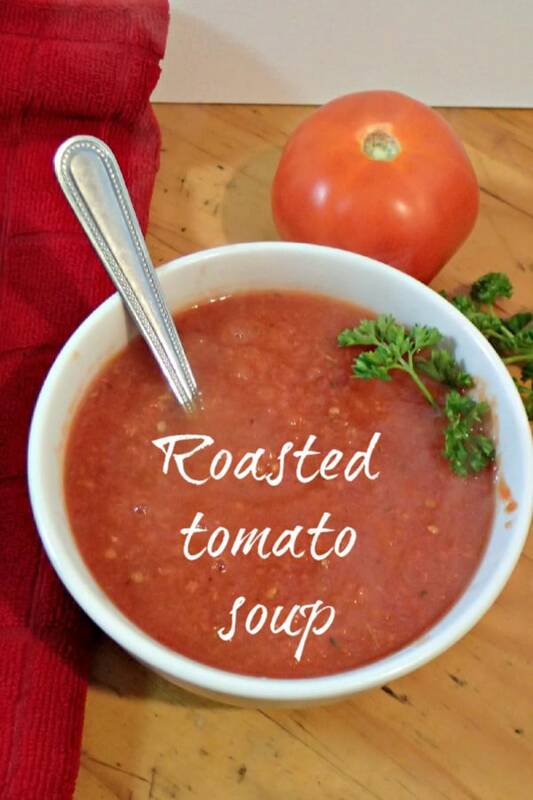 Homemade Healthy Roasted Tomato Soup…. 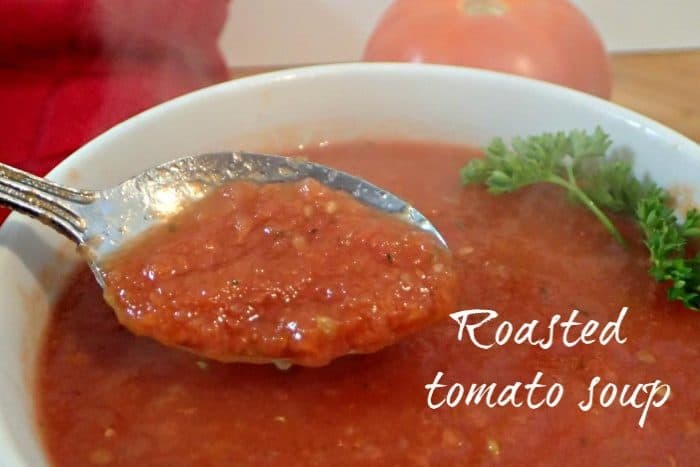 My homemade roasted tomato soup is absolutely amazing and I guarantee that once you’ve made it once, you’ll make it again and again! I love the smell (and taste) of tomatoes that are sold on the vine as it reminds me of watering the tomatoes with my dad in his greenhouse when I was a child. The smell takes me right back to when I used to pester my dad to let me help with some of the watering and the memories that the smell brings back makes me feel safe and happy. It’s odd what impact a smell can have on you, isn’t it? I often buy tomatoes on the vine just for this reason because the smell takes me back every single time but this is the first time that I’ve roasted them to make a soup. It won’t be the last time though as the soup was so tasty and so comforting – I can easily see us having this for a midweek tea with some chunky homemade bread! 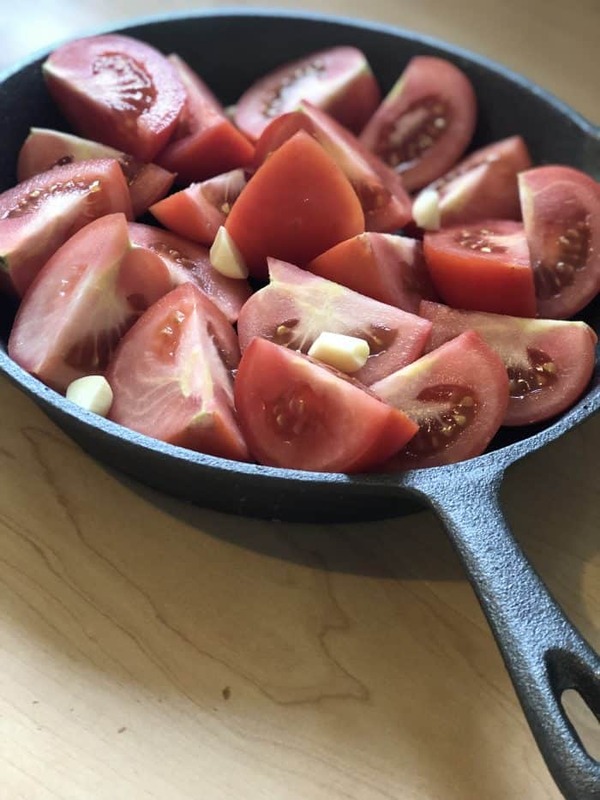 Preheat the oven to around 200 c.
I chopped my tomatoes into quarters and threw them into my new cast iron skillet pan with three cloves of garlic (halved). I have no idea why I used the skillet pan rather than just a normal baking dish but if I were you, I’d go baking dish. I didn’t add any olive oil because I’m going for the super healthy but there’s no reason why you couldn’t add some as it would definitely add more depth to the flavour of the finished soup. Pop your tomatoes and garlic in the oven and roast for 15-20 minutes. When they’re done, transfer them to a blender along with any of the cooking juices. I used my soupmaker for this as it has a good capacity and can handle hot liquids on its blend setting but you could use whatever you have that’s suitable. Once you’ve transferred your tomatoes into whatever blender you’re using then you’re ready to add the stock. 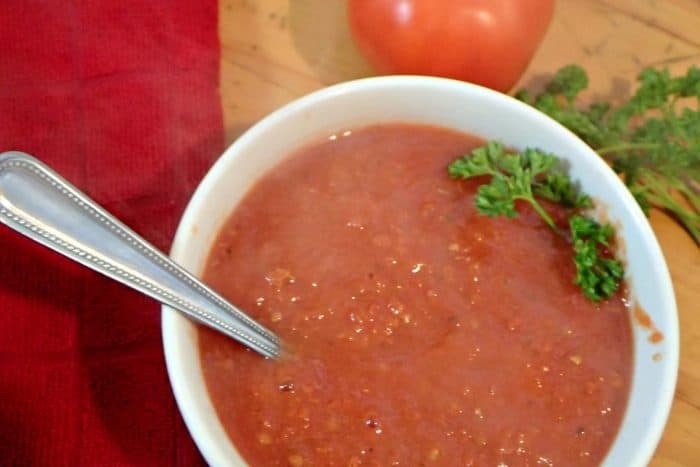 Now the amount of stock you’ll need to add depends entirely on a number of things – for example, how soft your tomatoes are, what consistency you like your soup and even how far you want to stretch your soup. I’d start with just a small amount and then give it a good blend before adding more stock to thin it out to the consistency that you want. This made two good sized portions although my tomatoes were larger than the ones I usually see so bear that in mind. Don’t miss out on future posts like this – receive updates directly to your inbox by email by adding your email address here and hitting subscribe. You can also follow me on Twitter, BlogLovin or Networked Blogs and I’d love to see you over on my Facebook page and on Instagram. You can find out more about me here. Sign Up For Our Regular Newsletter! 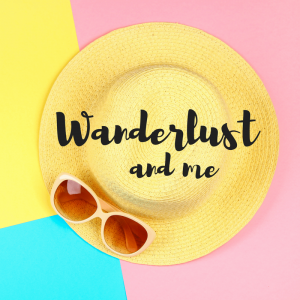 I also have a travel blog if you want to share my travel adventures! 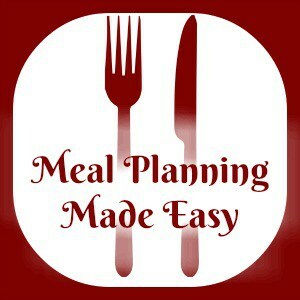 Pop over to my meal planning blog for even more recipes and meal planning tips.